What is Roof Coating / Roof Painting? Roof coating or roof painting is a fully adhered, seamless, fluid applied roofing membrane that, when applied correctly, will breathe new life into your roof. Why Should You Have Roof Coating / Roof Paint Applied To Your Roof? 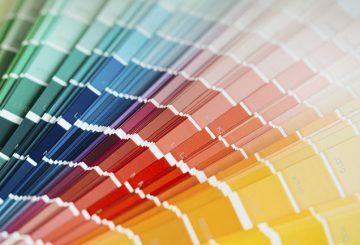 Roof coating helps to reflect most of the sun’s heat and ultraviolet rays. It lowers temperature in the house, therefore electricity consumption is lowered. Prolongs your roof life and increases comfort to the dwellers. It acts as a top layer of your roof and the underlying system. Extend the life of your roof for about 10 years or more depending on thickness, conditions, and type. When to Re Coat Your Roof or Repair Your Roof? 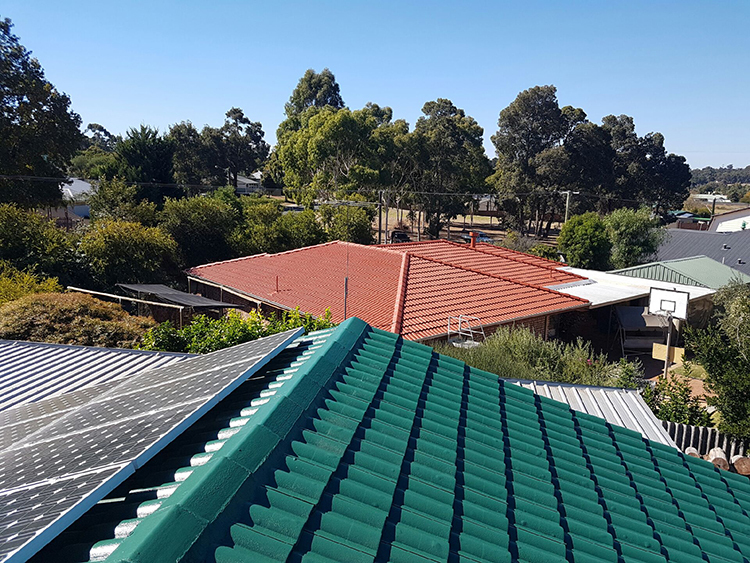 A roof makes up approximately 40% of the building’s external surface and it is an important part of the structures defence against weather and the elements. 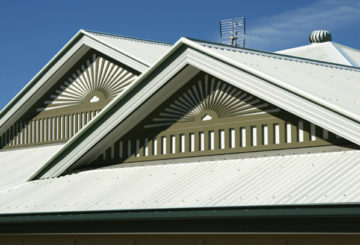 Maintaining your roof is very important and it can be confusing to what service you need if you have a roofing problem. 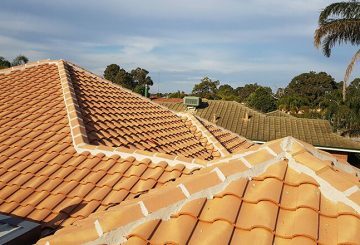 ROOFWEST is an accredited roof contractor with 35+ years of expertise in roof restoration services across South West and The Greater Southern Region. We can advise you on the correct service to fix any roofing issue you are having. Roof coating, also called roof painting, is a great way to give your roof a lift and make it look more aesthetically appealing, which may increase the value of your property. However, if you have structural problems with your roof such as cracked mortar or roof tiles, these issues must be addressed before any coatings are applied. You can’t just cover up cracked roof tiles or mortar without fixing them or your roof may leak, causing water damaged ceilings that may not be noticed until extensive, and costly, damage has occurred. If water does come into contact with electrical wiring or your fittings, this will not only be expensive to fix but can be very dangerous. 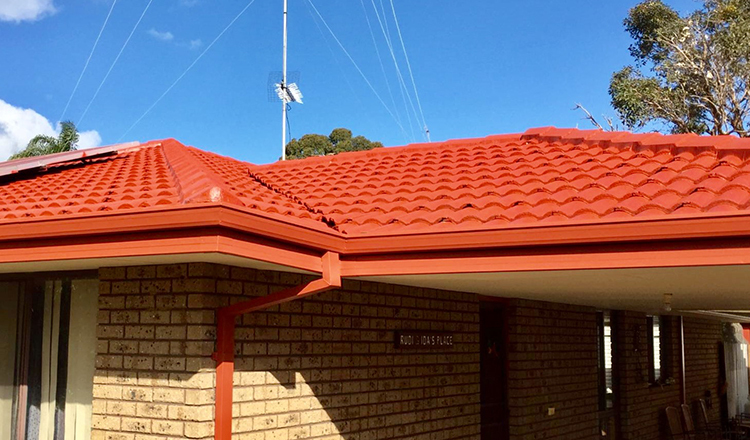 ROOFWEST will check your roof for any signs of damage and can advise you on the best method to fix any roof issues you have before applying roof coating or paint. Contact ROOFWEST to get a free quote. ROOFWEST – Your Roof Coating / Roof Painting Specialist! 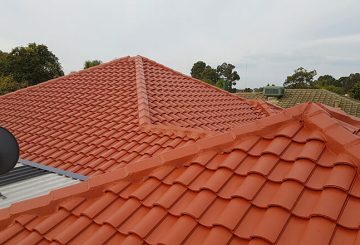 If you are looking for a professionally trained and experienced roof restoration company look no further than ROOFWEST. Does your roof need a facelift, is your roof leaking, are your tiles looking faded or covered in moss? 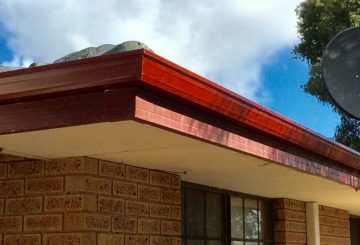 ROOFWEST has a full range of roof restoration services for all types of roofing surfaces. 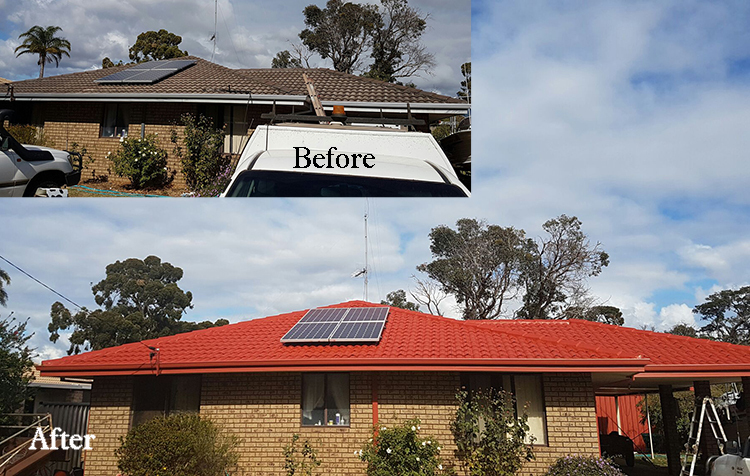 Contact Tom and the team at ROOFWEST today on 9795 9990 for a free onsite quote.